A collaborative artist project, Ai Weiwei: Trace at Hirshhorn features the East Coast debut of the monumental installation Trace, which portrays individuals from around the world whom the artist and various human rights groups consider to be activists, prisoners of conscience, and advocates of free speech. 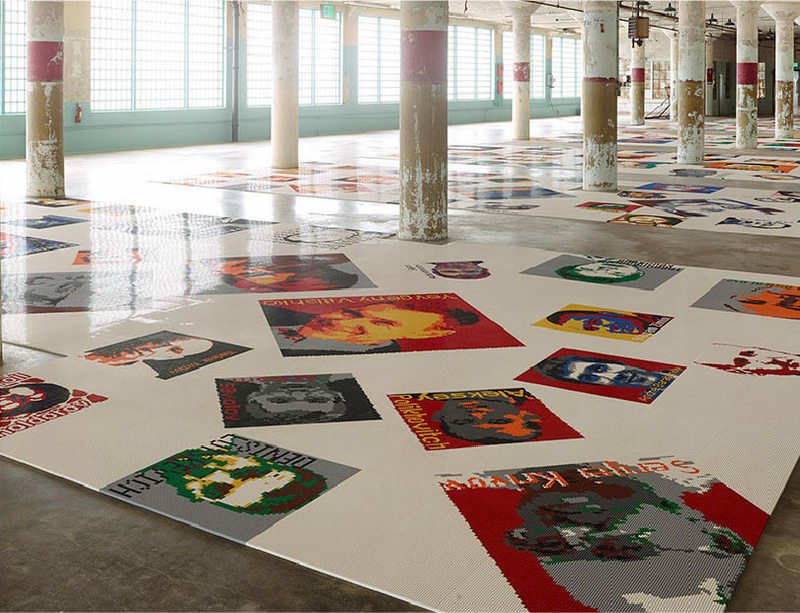 Each of these 176 portraits comprises thousands of plastic LEGO® bricks, assembled by hand and laid out on the floor. The work foregrounds Ai Weiwei’s own experiences of incarceration, interrogation, and surveillance. To complement the display of Trace at the Hirshhorn, Ai Weiwei has created a new 360-degree wallpaper installation entitled The Plain Version of the Animal That Looks Like a Llama but Is Really an Alpaca. At first glance, the repeating graphic pattern looks merely decorative, but a closer inspection reveals surveillance cameras, handcuffs, and Twitter bird logos, which allude to Ai Weiwei’s own use of twitter to challenge authority. Together, both massive works span nearly 700 linear feet around the Hirshhorn’s second floor Outer Ring galleries. The exhibition is on view from 28 June 2017 to 1 January 2018. For more information, visit the Hirshhorn Museum's website.